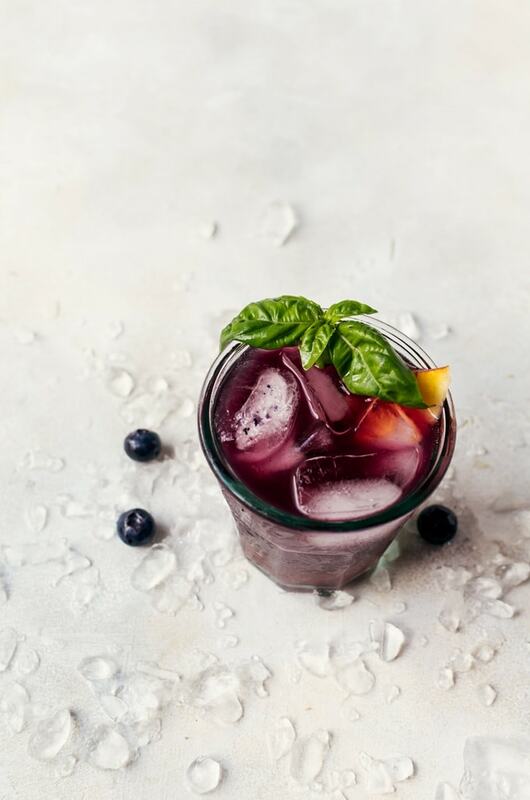 A fruity blueberry basil peach fizz that begs to be your favorite summer cocktail. 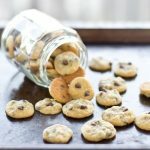 Mix up a few for your next outdoor gathering for a fun and relaxing time with friends. This post is sponsored by Bundaberg Brewed Drinks. 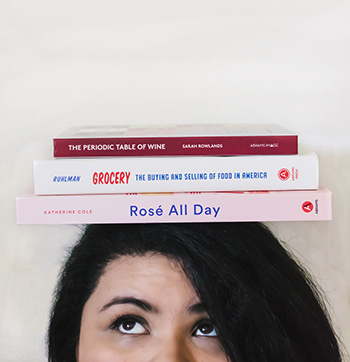 Thank you for supporting the blog and the brands I love! 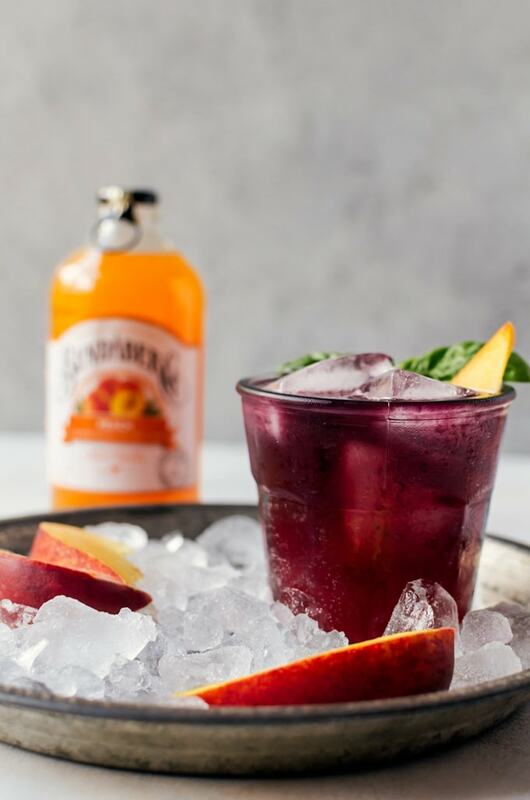 There is nothing I love more than sharing a cocktail with friends or family, especially when we get together during the summer for holidays and weekend barbecues. I’ve love experimenting with different cocktails and sharing a few here on the blog. In general, I’ve loved slowly sharing all the drinks I love to have – alcoholic or otherwise. I think this is largely in part from listening to Totally Beverages and Sometimes Hot Sauce podcast. Honestly, I didn’t know beverages could be so interesting before this podcast. They’ve introduced me to a ton of new drinks and brands over the years and I am so thankful for that. One brand that always stood out for me was Bundaberg Brewed Drinks when they did a taste test of ginger beers. So, when I had the chance to work with Bundberg Brewed Drinks I was pretty honored for the opportunity. Bundaberg Brewed Drinks has a pretty sweet selection of flavors that I love besides their ginger beer and peach. 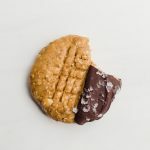 They also have grapefruit (amazing), blood orange (the best), and guava (my fave), plus three other awesome flavors you can find on their website. 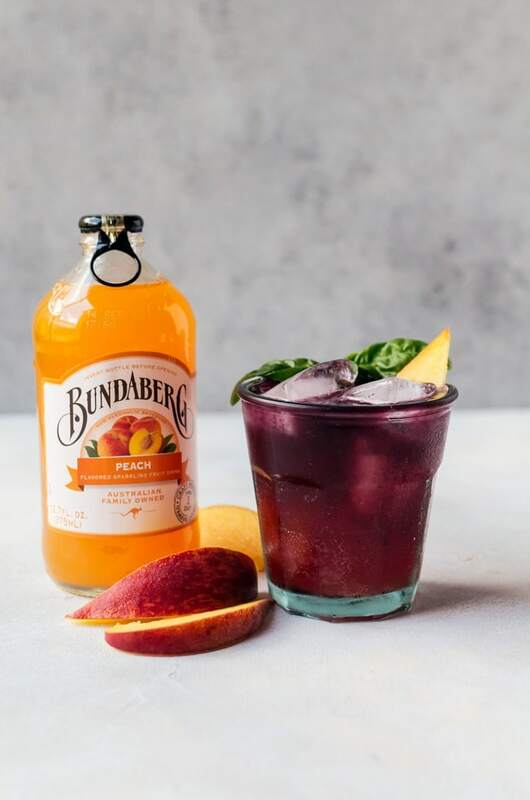 What I love about Bundaberg Brewed Drinks is that they are so unlike most of the soft drink companies out there and take their time to craft a quality drink. Their ginger beer takes 3 – 7 days to make. And they have their own ginger farm so the flavor is always fresh. They are awesome on their own, but I couldn’t help but using them as inspiration for a sweet, summery cocktail. 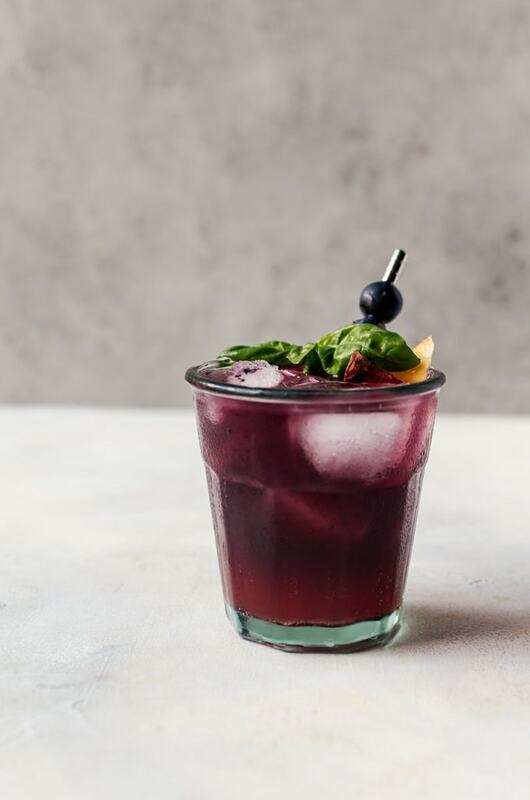 My first idea was to make a peach fizz, but I wanted to mix things up a bit so I added blueberry basil syrup as a nice twist on the classic cocktail. I love this combination because they are all iconic summer flavors and they all pair so well together. This also works as a very fun mocktail if you leave out the gin. I do recommend adding a small splash of lemon if you decide to go that route. In a small saucepan, add the blueberries and basil. Cook, mashing the blueberries as you go until it cooks down completely. Strain through a fine mesh strainer into a container. Chill in the refrigerator until cold. This can be up up to three days in advance. Pour the blueberry basil syrup and gin in a cocktail shaker with a few ice cubes. Shake to combine and strain into your glass. 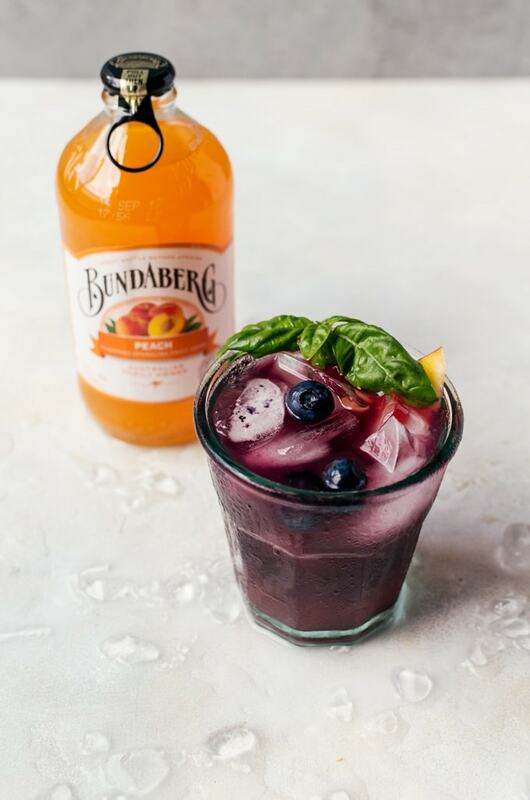 Top with the peach Bundaberg. This post was sponsored by Bundaberg Brewed Drinks. 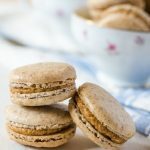 Thank you for supporting the blog and brands I love! At the rate temperature is shooting up, I might need several glasses of that gorgeous berry fizz! I’ll have to check out those podcasts, although I’m horrible at actually listening to them. I feel like most people listen as they work but I get so absorbed in the podcast that I stop working completely. This looks amazing and I want to be sipping on one daily. This cocktail looks fabulous! I had no idea Bundaberg takes so long to make. It makes me appreciate their product even more!